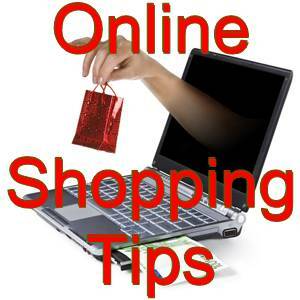 Please read following tips before shopping from any online shopping store in Pakistan. Online shopping is becoming very popular and common in Pakistan but it is not as much safe and secure as in the developed countries. Moreover their is no proper legislation for these stores and mostly these are not approved from any government authority. So, it is advised to take precautionary measures to prevent yourself from any tension. Always prefer to buy online from a well known, famous and trusted store. You can find helpful information about online companies on internet and can also read reviews. Make a call or use chat or email to get all the details about product e.g. brand, model, features, size, country of origin, date of manufacturing etc. Also ask them expected delivery date. Ask your store for delivery, return or refund policy and any extra charges associated with it. Also ask for repair, warranty and return policy, terms and condition. Print or save electronically receipts and records of your online transactions to keep record of delivery dates and as reference for use in future in case of any mishap. Before ordering a product from an online shop, you must check its availability and price from your local market. Sometimes same item is available in a market near to your home. In this way, you can save yourself from hassle of purchasing on internet, waiting for delivery and refund in case of any damage. It is also a very good idea to check the price from other online stores because there may be difference in prices on different stores and you can get a good deal. Some stores announce sale on its items time to time while some offer discounts when you get their products in bundle offer. If you are making payments via credit card, look for https:// before website address and/or lock sign on the transaction page. This shows that the website is secure for online transactions. Look an example of secure browsing in the image below. Never give your financial or personal details via email. Never use a public computer or internet cafe for online shopping. And always logout after doing the needful. Always use updated version of a good Anti-Virus Program. If you purchased via "Cash on Delivery", inspect the product before paying for it. And if you found any problem in the product, contact the representative of respective store for refund or return. Speaking of apps, those who shopping from smartphones and tablets, need to be especially careful. Do not use public Wi-Fi, Use only secure connections and also work with apps from trusted sources. Lock devices with a password so data is protected even when your phone is out of your hands. Very informative and interesting post. As online shopping trends in Pakistan are increasing on one side, chances of scam are also increasing therefore there is a need to be more cautious while online shopping in Pakistan. There are a few websites like symbios, shophive, daraz and http://www.azmalo.pk which have built their credibility in Pakistani online market within very short period of time.